Group Discussion Ideas > Current Affairs GD Topics > How to reduce NPA? ‘Non-performing Assets’ (NPA) are the loans that are not repaid and are not generating any income to the lender. Around Rs. 6 lakh crore worth loans are classified as NPA as of 2017 and are causing a crisis in the banking sector. Many loans are given to big companies without thoroughly analyzing the repaying capacity that companies and the owners has. Around 80% of NPA are from willful defaulters. Some loans are given to the big companies that are facing losses and are about to shut down. This can be attributed to corruption and nepotism. Banks are not yet free from government and political influence. Some politicians are using their power to grant loans to undeserved business persons. Without conducting field study and relying completely on project report is another cause. After granting loans, banks are not observing how the loans are spent. Many willful defaulters are spending the loans unproductively which will not help to grow business in anyway. For example, DCHL took many loans from many banks and spent the loan amount by investing in IPL, buying luxury cars, granting bonuses etc. To grant huge loans, banks form as a consortium and a big bank among them leads it. Small banks blindly follow big bank in granting loans that company. If that big bank take wrong decision, small banks will suffer. Some companies are taking loans but are not able to finish their projects. As a result, the lender bank is giving more loans to it to finish the project in the hope that they can recover their previous loan. But in many cases, this is further aggravating the NPA problem. Till April 2017, there were no strict laws to recover NPAs. NPA are weighing down the banking system. Many banks do not have enough money to grant new loans, which is a blow to the way of income to the banks. To help banks, government is investing more money on banks with taxpayers money. In 2016-17, government allotted Rs. 25,000 crore to banks. Through ‘Insolvency and Bankruptcy Code (IBC)’, 2016 banks are either reviving the companies or liquidating them to solve NPAs issue. The immediate solution is to sell Non performing assets. From April 2017, banks are selling more NPAs. Among all defaulters, the top 20 companies created nearly Rs. 1.54 lakh crore NPAs. If banks concentrate on these major defaulters, government may not have to rescue banks. Banks should thoroughly inspect the company they are giving loans to. Loans to bad companies will lead to lack of money for good investments. It’s better to display the defaulters’ name list publicly. This will cause fear and acts as a deterrent. 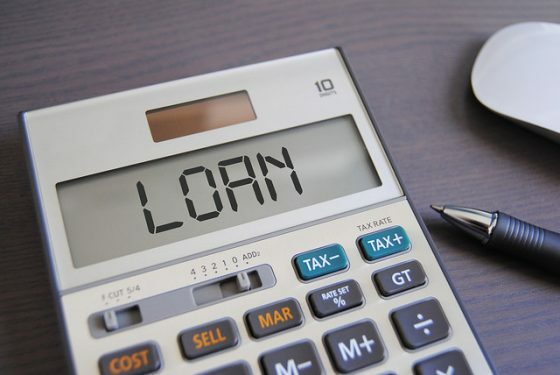 After granting loan, banks should observe the capacity of the company continuously and should be able to assess whether it is about to bankrupt. In this way, banks can sell the assets before the loans become NPA. Creating ‘bad bank‘ and transferring NPAs to it. In this way NPAs will be cleared for banks on papers. This method is useful to resolve the stress in the banking system. Though Indian government is rescuing banks, NPA problem will not be solved without preventing the grant of bad loans. Banks should assess the companies thoroughly before granting loans and should act strictly towards wilful defaulters. What is your take on this topic? Express your thoughts in the comment section below. Subscribe to our blog to read answers to trending GD topics. Photo Credits: GotCredit via Flickr, under CC 2.0. According to my opinion, bank should assess the companies thoroughly before granting loans and also keep scrutinising after granting loans which will create a fear among wilful defaulters. Eventually, it will help in reducing NPA(Non Performing Assests). There has been enormous amount of cases where banks are being predators of big named companies. Considering Vijay Mallaya’s case, where Kingfisher is holding 1700 crores of asset as non performing and hasn’t made any move to repay it. These kind of loopholes are causing disaster in our economy where the money which is given by government to banks to cope up these losses can actually be used to work on infrastructure and create jobs for needy. Exactly, It seems the politicians are also involved with such kind of willful defaulters, which give them wings to fly and loot bank.